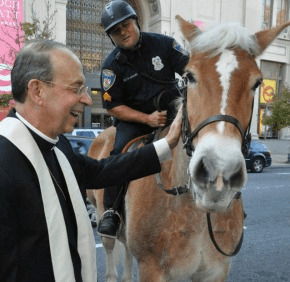 In celebration of St. Francis of Assisi’s feast day Oct. 4, the following parishes in the Archdiocese of Baltimore are holding pet blessings to honor the patron saint of animals and the environment. Blessing of the Animals, 10-11:30 a.m. Blessing of the Animals, 12:45-1:45 p.m.
Have a pet blessing you would like to add? Let us know in the comments section. If you are going to a pet blessing, tweet a pic of your pet with the hashtag #crpets2014 to @CatholicReview.